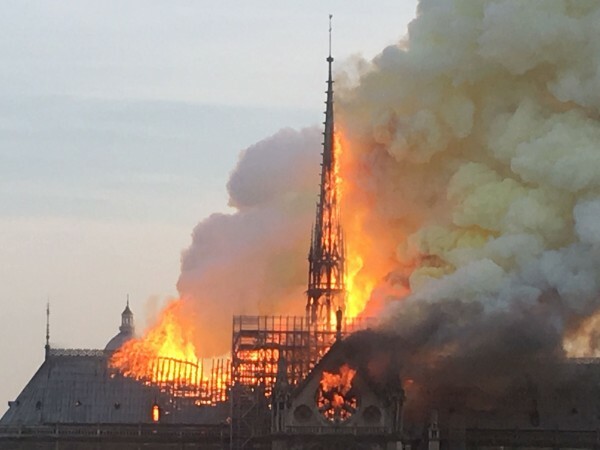 A French fire official claims the structure of Notre-Dame Cathedral has been saved from total destruction after fire engulfed the landmark this morning (AEST). The massive fire that consumed the cathedral has destroyed the spire and the roof of the historic landmark. Flames that began in the early evening ripped through the roof of the centuries-old cathedral and engulfed the spire and roof. Distraught Parisians and stunned tourists gazed in disbelief as the inferno raged. Thousands of onlookers lined bridges over the River Seine and along its embankments, held at a distance by a police cordon. The cause of the fire is not yet known although it could have been sparked by renovation work.